Malec Brothers has formally withdrawn its application for an air permit to emit methyl bromide in Columbus County, the NC Department of Environmental Quality announced Wednesday afternoon. The Australian company had planned to emit up to 140 tons of the toxic compound for its log fumigation operations near Delco and Riegelwood. However, vehement public opposition halted the plan while state officials petitioned the Environmental Management Commission for a new rule to add methyl bromide to the state’s list of air toxics. Methyl bromide has been banned internationally for most uses because of its toxicity and ozone-depleting properties, but log fumigation is exempt from the prohibition. China reportedly will accept only exported logs that have been fumigated, in order to prevent invasive pests from entering the country. But Malec Brothers has decided to debark the logs instead of fumigating them. An air permit is not required for that activity, a DEQ spokesperson said. 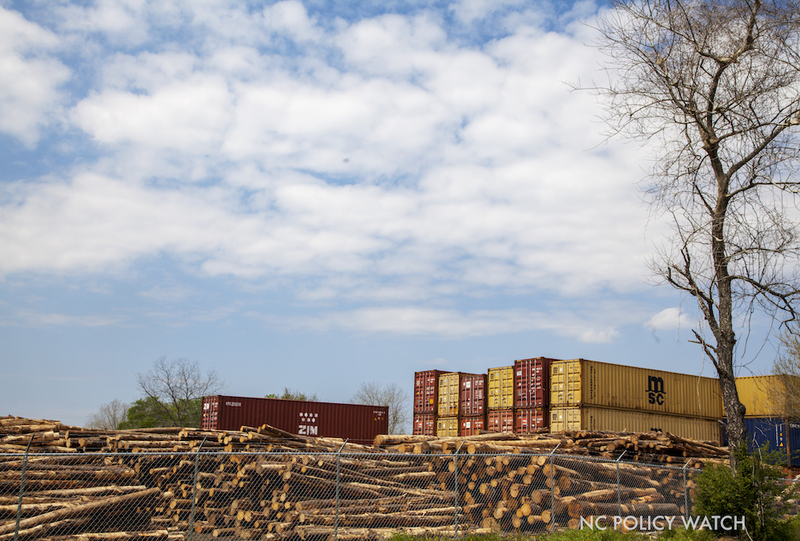 Originally, Malec Brothers proposed to place logs timbered from North Carolina forests into shipping containers, which would be infused with methyl bromide. After the logs had been gassed, which could take up to 72 hours, the doors to the containers would be opened, allowing the rest of the methyl bromide to enter the air. If, during fumigation, the container leaked an unacceptable amount of the gas, the solution, according to the company’s air permit request, was to seal it off with sand bags and duct tape. The fumigation would have been conducted about a mile from a school.